Hip-hop has a long and storied history of taking a familiar song or sound, stripping it down, and putting a new spin on it to create something entirely new. From jazz, soul, and funk to emo, punk, and metal, nearly every corner of the musical spectrum has been mined and repurposed by rappers at one point or another. So of course, it was only a matter of time before someone willed “country trap” into existence. But like with any genre of music, the lines are blurry when it comes to determining what specifically makes something “country.” Does it depend on the vocal style? The lyrics? The instruments used? Is the mere presence of a cowboy on an album cover or in a music video enough? Whether it’s an actual infusion of the genre itself or simply a use of western tropes, the history behind rap’s recent obsession with country music and cowboy culture is actually a lot longer and more complicated than you might think, dating back to the historical erasure of black and Native cowboys in place of the “traditional” whitewashed American cowboy narrative we know today. It would take an entire book on the history of roots music and black and Native cowboys to show how it all ties into the current fashion and musical trends encompassing what’s being dubbed “the yeehaw agenda” (there are a number of fantastic pieces out there on the subject already), but below you’ll find a selected chronology of songs that help show country and cowboy culture’s history in rap music. “Paul Revere” doesn’t sound like a country song in any capacity, but its silly western narrative told in classic Beastie Boys fashion is one of the earliest and most prominent examples of rappers making use of cowboy tropes in their lyrics. With a harmonica-based instrumental, an interpolation of Kenny Rogers’ “The Gambler” as its chorus, and lyrics laced with references to gunslingers, saloons, and stolen gold, “Ghetto Cowboy” successfully taps into a country-cowboy aesthetic. The music video doubles down on this, opening with old-timey title cards and playing like an old western flick. If you’ve never seen it, Wild Wild West is a movie from the late 90s about Will Smith and Kevin Kline being sent by President Ulysses S. Grant (who is also played by Kevin Kline, for some reason) to hunt for an ex-confederate general through a fictional reconstruction-era south. The key word here is “fictional” because stopping the creation of 80-foot-tall mechanical spiders in a place called “Spider Canyon” is a large plot point in the film. Unsurprisingly, the movie’s titular song is Will Smith at his Jiggy Era-est. Also included on the Wild Wild West soundtrack, “Bad Guys Always Die” was one of Eminem and Dr. Dre’s earliest collaborations, released even before “What’s the Difference?” and “Forgot About Dre” off of Dre’s seminal 2001. Though not as celebrated as the aforementioned songs for obvious reasons, it’s still a prime example of the playful chemistry that made the duo’s collaborations in the late 90s and early 00s so great. A song that partially recounts the plot of Wild Wild West has no business being listenable, let alone enjoyable. There’s nothing particularly country-twinged about the song itself, but Master P’s “Ooohhhwee” music video has hay bales, Harleys, and cowboy hats aplenty. Bay Area rapper Keak Da Sneak released an album called The Farm Boyz in 2002, as well as a 2006 sequel titled The Farm Boyz Starring Keak. 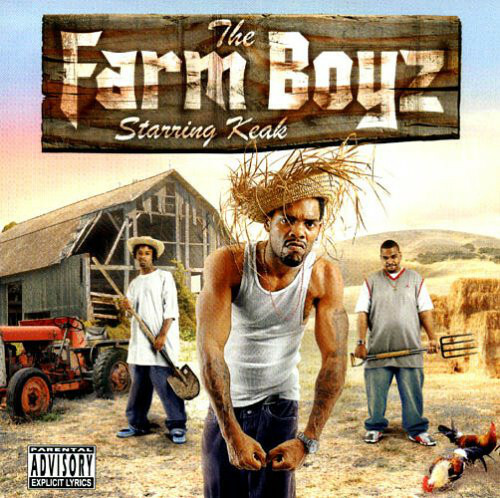 It’s kind of confusing whether or not The Farm Boyz is supposed to be a group or not, but it’s clear Keak was going for, um, something here. The 2006 album is at least notable for having perhaps the worst use of a Michael Jackson sample of all time. Nappy Roots are probably the most famous rap group from Kentucky, a state which in part birthed Appalachian folk music, a precursor to what we know as country music today. With an album name like Watermelon, Chicken, & Gritz, it’s no surprise the group isn’t shy about celebrating their country roots. The late, great Mac Dre was ahead of his time in a lot of ways— but even so, a song where he sings and raps in a country accent probably wasn’t one you’d expect to have any sort of lasting impact. At this point, there are kind of a lot of country-rap crossovers, but the Country Grammar rapper's first true country collaboration is of note for obvious reasons. Songs with Jason Aldean and Ludacris as well as Snoop Dogg and Willie Nelson would soon follow to middling success. Like Mac Dre before him, “Careful” sees Kevin Gates rapping in a country accent in its second verse. Gates would continue to experiment with this country cadence in songs like "Showin' Up." Zydeco artist Keith Frank enlists fellow Louisiana native Boosie Badazz for “Haterz”— it’s not country, but both zydeco and country fall into the broad category of roots music. “Haterz” is worth a mention simply because it demonstrates how broad and versatile both hip-hop and roots music can be— plus, unlike most of the more traditional country-rap crossover cash-ins, it has the added bonus of actually being a good song. Country-trap was sort of Post Malone’s whole schtick from the beginning (how else would you get a sponsorship from Bud Light? ), and there’s quite a few moments on his lukewarm debut, Stoney, where he makes a go at the genre. He never really gets it quite right, but “I Fall Apart” is the best of the bunch. “Sold Out Dates” neither utilizes cowboy tropes nor does it particularly sound like any kind of roots or country music, but Gunna and Baby’s continued use of acoustic guitar-based trap production is of note with regard to this trend nonetheless. 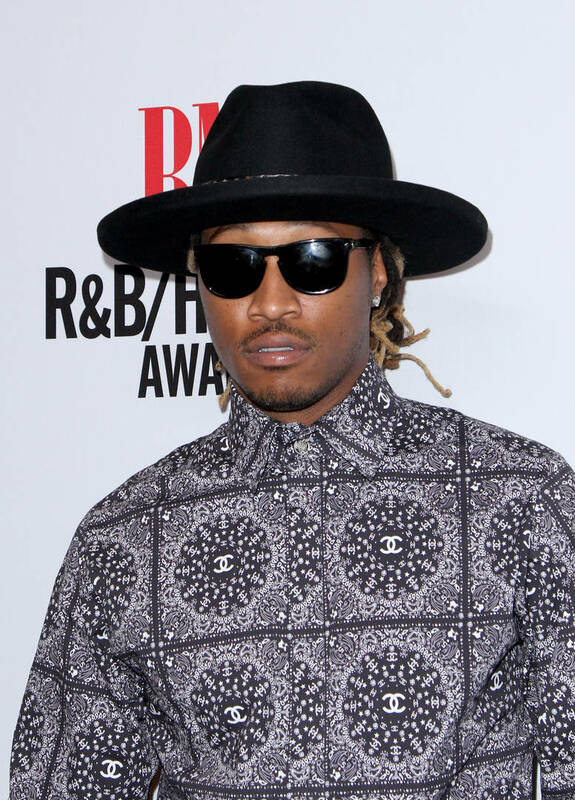 If Young Thug's "Family Don't Matter" was the first successful attempt at country-trap, Lil Tracy’s “Like a Farmer” was its most blatant. The song made enough waves last year that the relatively silent Lil Uzi Vert came out of his reclusion to hop on the remix. This is where it starts to get a little on the nose. Though the song was released in December 2018, Lil Nas X made Billboard history earlier this month when his viral hit “Old Town Road” simultaneously charted on the Billboard Hot 100, Hot Country and Hot R&B/Hip Hop Songs charts. Apparently, some country fans are just as worried about saving “real” country music as some rap fans are about saving “real” hip-hop, calling for the song to be removed from the country charts. DaBaby showed that cowboy culture was here to stay in 2019, ringing in the new year with his campy music video for “Walker Texas Ranger,” a track from his exceptional debut album Baby on Baby. Lil West is an up-and-coming rapper from Delaware, which is pretty much as far from the west as you can be in the continental United States. Still, West's "Barn" goes to show just how wide-reaching and permeating the country-trap trend is in hip-hop music. Most of Juice WRLD’s sophomore album, A Death Race For Love, owes its sound to emo and drill, but album standout “Flaws & Sins” throws country music into the mix. Similarly to Lil West, Juice WRLD is from a city with no real cowboy or country roots (Chicago)— but if anything, the fact that both an up-and-coming rapper from Delaware and an immensely popular rapper from Chicago are riding the country-trap wave indicates that the genre will continue to grow and evolve.